My TV time lately has been more interactive than usual. Like many people my age, I grew up playing video games, cycling through Pong, Atari, games for the Apple IIe, the original Nintendo Entertainment System … and then I sort of lost interest for a while. I was out of the video game loop for most of a decade, until I decided to replace a busted DVD player with the Sony PS3 that is still the hub of my home media center. Every now and then, it occurs to me that one can play video games on the thing. I refer to myself a casual video gamer. I really have no idea about developments in the field, and buy all my games used for a few bucks. 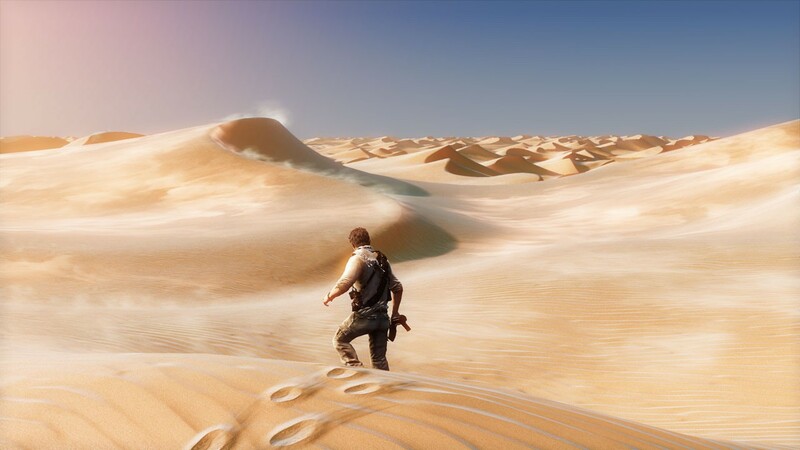 Most devoted gamers probably played Uncharted 3: Drake's Deception soon after it came out in 2011, but I wasn’t even aware of its release then. A gamer-nerd friend recommended Uncharted 2, which I loved and finally completed recently, so I figured that the $7 I spent on the used copy of Uncharted 3 was worth it. For some reason, my wife seems to enjoy watching me play Uncharted 3 — she recently suffered valiantly through the 20-odd attempts it took me to get past a particularly difficult obstacle. The other day, when she saw that I was playing the game, she even asked me to hit “pause” until she could join me. I found that somewhat puzzling, since most people's interest in a video game rises in proportion to their own interaction with it. Her interaction with this game is zero, unless you count her chuckling at my frequent goofs. Her interest in watching the game — but not playing it — got me thinking about how narratives work in modern video games. 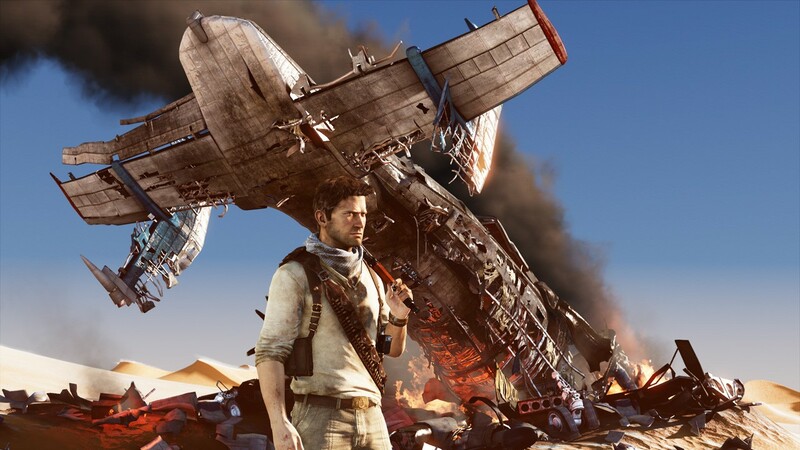 The story of Uncharted 3 is globe-spanning and gigantic, starting in London, flashing back to 20 years earlier in Cartagena, then proceeding to bounce around to Syria, France, London again, Yemen … and surely some other locales. I know I still have a ways to go. The game’s story fairly closely resembles those of the two National Treasure films (and, surely, the long-rumored third, should it ever come together). Both texts have as their protagonists intelligent, athletic, adventurous, cryptologically inclined history buffs who travel the world to investigate historical mysteries. 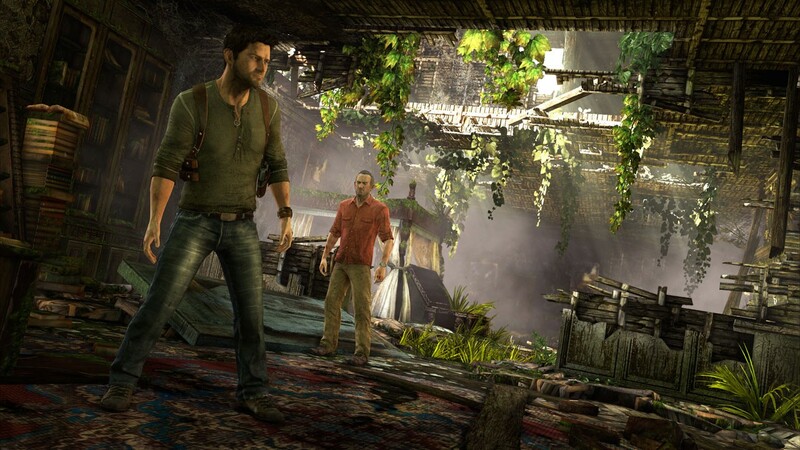 One key difference is that Nathan Drake, the hero of the Uncharted series, is also an ace marksman, shooting countless bad guys across three games; National Treasure’s Ben Gates is more or less a pacifist. Plotwise, though, that’s a fairly small distinction. Both heroes use whatever skills they possess to extricate themselves and their colleagues from many a sticky situation. The game series and the film series are closely related, which is another way of saying that they have a common ancestor — the oeuvre of the novelist H. Rider Haggard. Haggard is the author of several books that are often slotted into the “Lost World” subgenre, in which a strapping white hero, working on mysterious historical or archaeological evidence, explores a strange and hidden civilization on, for instance, an uncharted (see?) island or remote mountain range. These stories typically involve such tropes as amulets, incomplete maps and nefarious kidnappings. "She-who-must-be-obeyed commands thy presence, my Baboon," said the old man as soon as we got to the curtain; "but, oh my dear son, be more careful. Yesterday I made sure in my heart that She would blast thee when thou didst not crawl upon thy stomach before her. She is sitting in the great hall even now to do justice upon those who would have smitten thee and the Lion. Come on, my son; come swiftly." The goofy dialogue and unlikely scenarios don’t mean that these books aren’t a hell of a lot of fun. They combine adventure, romance, mystery and a sense of historical mysticism; they’re basically irresistible. The makers of the National Treasure films and the Uncharted games have cashed in on this can’t-put-'em-down quality, which is why all entries in both series have made plenty of profit. As chewy a premise as Uncharted 3 has, I find myself not caring about, or not even registering, certain developments in its story. I'm much more wrapped up in the small-scale missions that Drake must undertake: finding a way out of a burning building, plucking off snipers from the turrets of a 2,000-year-old fort. Once or twice, when my wife has entered the living room to see me playing the game, she's asked me where the current scene takes place, and I’ve found that I’m unaware of such seemingly important details as the setting or the narrative circumstances that brought me there. I don’t think this is because I’m an inattentive viewer; quite the contrary. It’s just that my approach to the game is to see it as a series of isolated missions, each with its own mini-goal. Roughly equally balanced between solving puzzles and defeating baddies, these missions are fun and rewarding in themselves; that they add up to a coherent story is immaterial to me. The reason this interests me is that much of the current scholarship on modern video games pivots on the notion that they are so successful/popular/beloved precisely because they frame their missions within the context of engaging narratives. Maybe I don’t pay much attention to the story because it’s so hoary and hackneyed; maybe I’m an atypical video gamer in that I’m not so interested in the big picture; maybe that current scholarship is on the wrong track. But somewhere in there lurks an explanation for why I, the guy who’s actually playing the game, don’t really care much about its story, while my wife, who has seen me play the game in isolated moments here and there, requires the narrative context to enjoy watching. If you have theories, please submit them here. Maybe it’s simpler, though. Uncharted 3 is an enormous text. This site, which seems to specialize in such things, suggests that the average playing time for the game is 10 hours. Devoted fans can replay it at various difficulty levels and access nearly endless amounts of online and multiplayer content that renders the game effectively infinite. A rich, multifarious text like Uncharted 3 offers its players any number of ways to approach and enjoy it, none of which is more or less valid than any other. That vast complexity and scope seem to me the true secret of the game’s success.